Tarun Gupta December 31st, 2015 Email Marketing 4 comments. Email Marketing is evolving as the most efficient and cost effective marketing tool. Companies across the global sphere are putting their best efforts to reap maximum profits out of their investment. Interestingly, most of the organizations, if not all, don't have a plan in place to measure ROI. Even the latest benchmark report asserts that 59% of marketers answered “no” when asked if they have a proper plan to measure their email marketing ROI. These are the standard goals that I have seen companies played for. Obviously, these are the vague goals, thus, should be defined more precisely to zoom out the key matrices. For instance, looking for more qualified leads could be a generalized goal, instead, you may set the eye at 15% up in qualified leads. You may likewise replace other goals stated above with a precise one. What Are The Key Drivers of Email Marketing That Decide ROI? The list you choose to begin your email marketing campaign decides the fate of your campaign. The quality and authenticity of that list determines new subscribers and minimize attrition caused by inactivity, bounces, unsubscribes, and spam complaints. List quality has direct impact on your ROI. 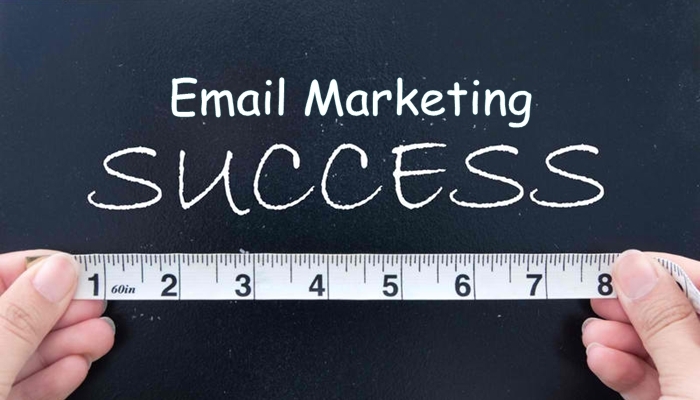 The metric defines the number of total recipients who opened an email at least once. Once email campaign is sent, people open your mail and read the message. Believe it or not, open rates are directly proportional to the returns on the investment. The click-through rate is the percentage of subscribers who click on a call-to-action and ended up on your landing page. Once recipients receive the mail, they open and engage into it further if content is good and they want to reach to the landing page for further information. The landing page conversion rate is measured by taking into the note the percentage of subscribers who take desired call to action on your designated landing page. Conversion tends to be the final goal of an email marketing campaign. Conversion could be anything like white paper download, purchase, subscription or filling out a form. How To Leverage The Sales Funnel? Have an opt-in process for your list. Ask your audience to subscribe your list, and tell them to confirm this from their email. This is called double opt-in. If you opt for Email data mining techniques, ensure the method is tested and organized for manual and automated processes. Remove bad email addresses and bounces from your email list. Find the people who haven't opened your email since long. Send them engaging mails and offers to get them back to your list. Use social media , ppc, direct mailing to grow your list. Write engaging, factual and concise subject that binds the audience. Make sure that message is relevant to your subscribers. 'From' field is also very important to your email newsletter. You must pick a value for the field that resonates with your subscriber base. Fix schedule and frequency of the mails. It isn't good to bombard your audience with messages. Annoyed audience may throw your mails to trash. . Choose the best time of the day to send the email. You can have the idea by analyzing previous campaigns and the way audience reacted. Go for a responsive email newsletter, to let your email open equally well regardless of the devices being used. Deliver the content with the newsletter that interests your subscribers. How To Drive Click Through Rates? You May Also Like : How To Maximize Email Deliverability In Three Steps ? Keep checking your offers for the best value. Run A/B split testing to determine what really resonates with your audience. Ensure that the mailer contains enough information so your subscribers understand your offering and how it gives value to your audience. Place call-to-action buttons adequately inside the mailer. Test the placements of your call-to-action as per your goals. Avoid cluttering email newsletter with too many call-to-action buttons. It's always a great idea to have a mobile-friendly version of your emails to let users access it easily on their mobile devices. At the end of the funnel, comes the conversion metric that tells if the results achieved are one that you wanted. If you are selling products or offering services, high conversion rate is something you desperately require. There are ways you can raise the conversion opportunities of your email marketing campaign. Have a clear call-to-action button, bigger one is the better one. It should be big enough so that audience couldn't miss it. Make sure you have a dedicated landing page that a person reach to when he clicks to a call-to-action button. Navigating people to your website home page is always a bad idea. The reason being is that once he lands up to your website he would need to explore the required information. Keep your landing-pages consistent and at par to the brand message you're delivering via the email campaign. Building trust on the landing page is also inevitable to the conversion. To get this done, include certifications, awards, and testimonials on it from satisfied customers. Test as many versions of the landing page possible. It helps to continually optimize your landing page for better conversion. The above illustration makes it clear that several factors throughout an email-marketing campaign are responsible for revenue. They are namely List size, List growth, Inactive users, Growth of inactive users, Open rates, Click-through rates and Conversion rates. This was the funnel that we chose to make realistic improvements to key email campaign variables, that helped us to optimize email-marketing funnel of most of our prestigious clients. to unprecedented levels by Identifying the key drivers of email-marketing ROI and Driving click-through rates. Develop an ROI scenario for the future, you can use that to establish your goals for improving each aspect of your campaigns that you envisioned would be improved.. If you are a business that does not use email marketing I would highly recommend you take advantage of this tool. It can be a great marketing tool and is often referred to as the top return on investment marketing initiative for businesses. . 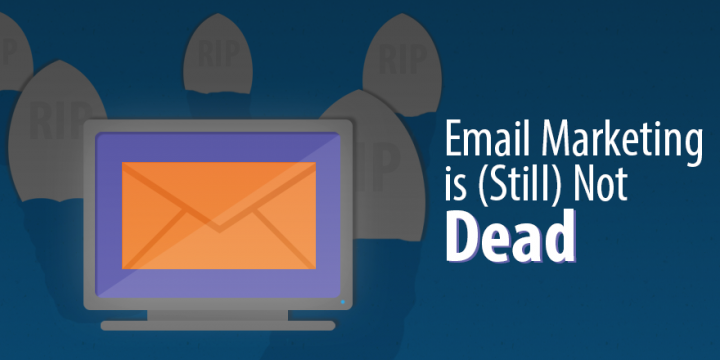 Specialists over the email marketing industry say that the period of group and impact is over. I generously concur. Subscribers expect email messages tailored to their interests and needs. If you need to keep them drew in, you’ll need to convey that.